It has been said that a person lives in three places throughout their lifetime. Now I’m not necessarily talking about three different houses or states that one would live in, but rather a whole different location altogether. See, people will live in three different social places; their home, work/school, and a third place. This is usually a location where you can sit down and socialize. A place to go to after work but before retiring to your bed. These “third places” are critical for relationships. At their best third places are building blocks for a community. Think about places like libraries, malls, and cafes. The psychology behind it is that different places require different aspects of yourself. For instance, home is where you rest. It is where you lay down your head for the night and sleep. You eat breakfast here, often times dinner as well and in short it is where you are supposed to lie down and rest. The second space is work or school whichever one you currently do. Sometimes people do both and it’s often times also what cuts into their other places. But in general, it is where you work productively and get your job done. Finally, there is the third place. Away from home and away from work, it is a much-needed place of socializing. Typically it is a free place, or at the very least inexpensive, such as a coffee shop, the park, or mall. But why is it so important to us as high schoolers? It is because in a face past life where we have to go to school, spend hours on homework, and sometimes even have extracurricular activities or jobs to work we owe it to ourselves to invest in a place where we can socialize and relax away from our home and work. But where in Hollywood would such a place be? Somewhere near enough to school to hang out but still far enough that it doesn’t feel like school. Places could be the establishments such as; Starbucks, Waba grill, De Longpre Park. It used to be the shopping mall believe it or not where people would go in and simply hang out with friends. Unfortunately due to the rise of social media and online shopping, the mall as a third place is dying down.Overall the point of the matter is that a third place is crucial for a person. We need a place outside of stressful school life but outside of just rest as well where we can socialize and indulge in the need to simply talk to one another. Ready to ditch the books and instead go out and have fun this spring break? We’re just as ready as you are, but just in case you haven’t had time to plan the specifics of your vacation in the hustle and bustle in Hollywood high school this week we’ve got you covered! Plan a vacation full of sunshine, ocean, and Hollywood fun this Los Angeles Spring Break 2018. L.A. is filled with tons of great attractions you, your friends and your family will love. Here are some fun tips and locations that you might want to go and take a look at! 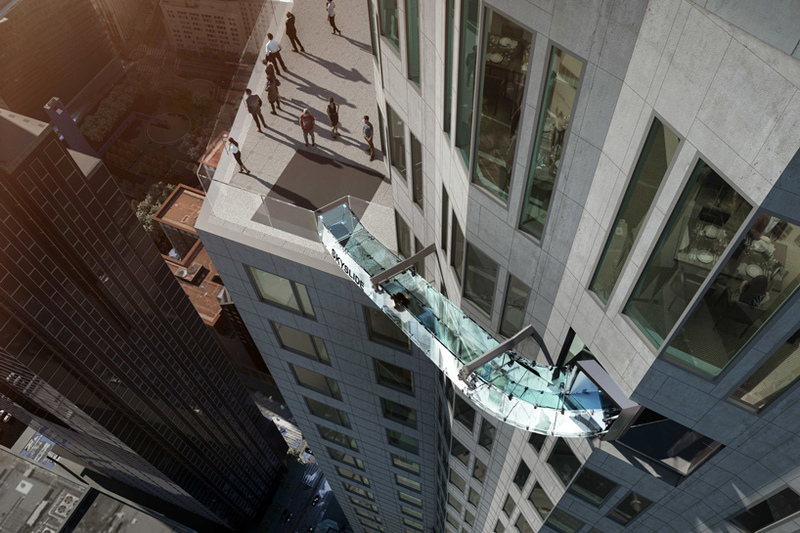 If you’re looking for some more adventure on your spring break, then look no further than OUE Skyspace LA. Located near the top of the famed US Bank Tower, this amazing open-air observation deck provides lines of sight for miles on a clear day. You’ll get 360-degree views of the city, from the San Gabriel Mountains to Catalina Island to Dodger Stadium. Block off a couple of hours for a thrilling whale watch! 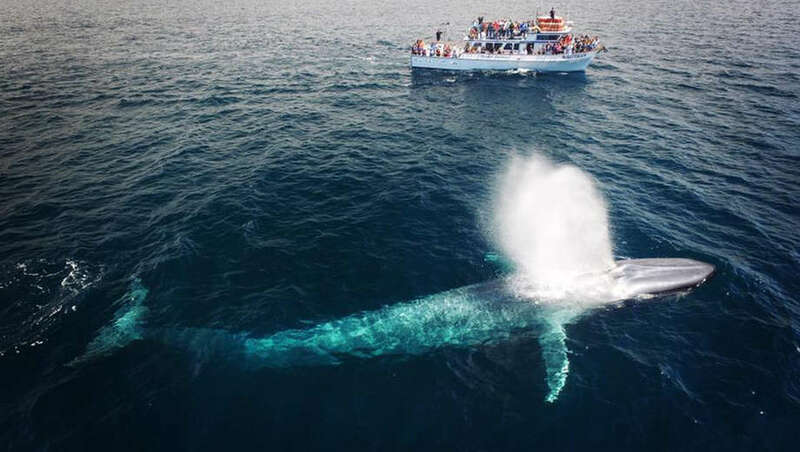 Depart from Long Beach or San Pedro and spend the remainder of the day venturing through the Southern California waters in search of whales and other marine life. It’s certainly worth your time and effort to get the chance to see these magnificent creatures up close and closer. 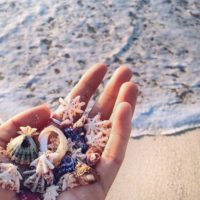 Similarly, if you want to add a bit more adrenaline into watching marine life, consider finding companies that will allow you to get into a cage underwater and see these sea creatures up close and personal. And hey, it doesn’t necessarily even have to be whale watching, you could in fact if you so chose to watch some Sharks and swim alongside them. Just make sure you do your research on what company or ship your sailing with! 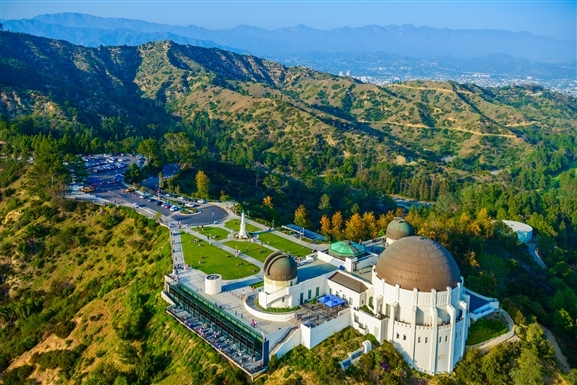 It’s well over 4,000 acres of urban parkland, featuring miles upon miles of trails (perfect for biking or even just a relaxing stroll with the kids), the free Griffith Park Observatory, and the famous Hollywood sign. Spend some time at the Los Angeles Zoo and the lovely Botanical Gardens. This small but diverse combo features plants and animals from around the world, perfect for some low key browsing. Right across the parking lot is the fun Autry Museum of the American West, which showcases some wonderful works of art, pottery, and even antique firearms. It’s a nice option for art lovers or history fans. For the golf lovers among you, there’s also a popular course just south of the zoo that attracts golfers from all over the area. If the weather cooperates, it’s a good time to get a little bit of surf and sun into your spring break trip with a venture to Santa Monica State Beach. You can relax on the sand, go for a quick swim (if you’re brave enough to handle cold water), or stroll or bike along the waterfront paths. Looking for something more thrilling and more classically vacation-esque? Harken to your inner child (or appease the actual kids) with a visit to Pacific Park. It’s an old-school amusement park with an unbeatable waterfront location that offers classic rides, games, and treats. You could also opt to explore the history behind the silver screen with a visit to the comprehensive and fascinating Hollywood Museum, filled with amazing props and artifacts from movie and T.V. history. You’ll find real items that played an iconic role in Hollywood culture, like Cary Grant’s Rolls-Royce “Roller” and more. 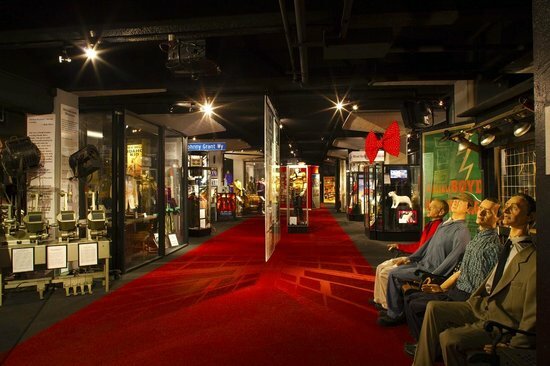 There are galleries of photographs, restored makeup and dressing rooms, and tributes to major stars and their signature props like Judy Garland’s Ruby Slippers from The Wizard of Oz. The Oscars are near us! The high time of glitter and gold and festivities celebrating our best actors, filmmakers and the lot. The very pinnacle of quality movies. We’d like to believe that Award Ceremonies such as the Oscars are how tastemakers honor important cinematic arts. That these awards are determined by objective voters that weigh the artistic merits of each individual work. 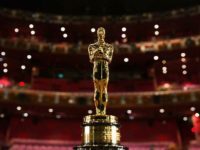 The unfortunate truth, however, stands to be that our favorite filmmakers and actors are not the actual nominees of the shows, rather money seems to be seated in their place. While it is is most undoubtedly true that Money cannot act, it can make voters act differently. What happens is that studios and networks give heaps of money and incentives into what the industry calls, “For Your Consideration Campaigns” I’m sure we have all seen them around on billboards and the like, but do we really know what they are truly for? For Your Consideration Campaigns are hyper-specific marketing methods that are aimed solely at award voters. It’s not really bribery, but they are close enough to it that it may as well be bribery. These come in the forms of paying for the Voters to go and watch the movies for free and throwing them lavish parties for them to meet celebrities. The ads as mentioned before are also painted and plastered all over the streets of L.A.
To win an Oscar studio may have to spend around $10 million dollars. The bottom line is that to make money one has to spend money. An Oscar nomination can increase your box revenue, and getting an award can make even more. Quality does have something to do with awards ceremonies, as the ones nominated are usually good but to win an award one have to be able to part with a couple of Franklins. The world in today’s day in age has become an extraordinary scary place. With things such as our president’s daily outrages and movie directors getting exposed, it’s hard not to get caught up in the news of politics and entertainment. Nevertheless, it is important to also delve into the world of technology and medical innovation from time to time to check up on how the world is progressing while one sleeps. This here is your daily dose of technology catch up. 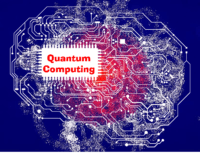 Something in particular that has been shaking the world by storm is the recently unveiled first-ever quantum computer. While classic computers have enabled many amazing things such as the internet it still can go a long way. They use “bits” or in other words 0 and 1s used for data and processing. For example say if I had 4 bits, you could arrange them in the manner of 0000, 0001, 0010..ect. However, when we take a look at Quantum Bits, they are still expressed as 0 and 1s individually but can also be expressed as 0 and 1 combined at the same time. It is a bit confusing but the results and things we could be able to do with this is astonishing. For instance, taking the 4 bits example again, if the bits are expressed as 0 and 1, there are a total of 16 possibilities they can make. Now let’s say these were numbers to a password you wanted to crack. A normal computer would take each and every one of them and try them out. Eventually, it would get the right answer but simply put a Quantum computer would do so much better. Since the 0 and 1s exist at the same time it would input all of the possibilities at the same time as well and thus get it right at the first time. This in itself does not seem to make much of a difference, but it really does. 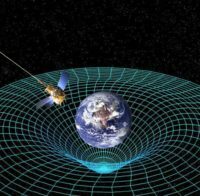 If one thinks about very high-end security there are an infinite amount of possibilities for a password which would take a regular computer millions of years to be able to crack those codes, but with a quantum computer, it would only take seconds. If we were to dive deeper and touch on the subject of artificial intelligence, we could understand that quantum computers could affect that as well. What if we gave a computer the ability to reprogram itself? A normal computer would not be able to do such a thing because it wouldn’t know the best way to do it; having to run an infinite amount of possibilities in order to find one. A quantum computer could run all of them simultaneously and find it in seconds. Not going to lie, it is a very scary thing. Seeing as with such an innovation in science we are well on our way to robots taking over the world. We already have a robot by the name of Sophia who has official citizenship in Saudi Arabia, it isn’t too long until they will be able to function completely independent from their creators and be able to reprogram themselves with the help of a quantum computer. Just a little thing to think about to keep your mind off of everything else going on in the world! Cheerleading is more than a sport, its an attitude! When attending a football game have you ever taken a moment to appreciate the people dancing and cheering on the players? These are our magnificent cheerleaders and they have been working hard this semester. Rapping up football season and heading on to basketball, cheer is really a sport that does it all. While there was a competitionon scheduled during December, it got canceled and this is what, “So what actually happened is we have a league that is going on. So we have a league that is starting up on February. So it’s actually becoming a sport and were trying to figure out how everything is going to play out and what we need,” said Coach Miguel. All in all, their schedules seem to be packed as according to the coach in January they will be focusing completely on basketball season. Leaving February for leagues where they will be competing against schools like Bernstein and Marshall. On the Hollywood High School website cheer has this written there,” You can’t have Sheik Pride without a squad of spirited cheerleaders… “Explosive?” Doesn’t even begin to describe this group.” Cheer seems to be all about teamwork and it seems like it would be as generally the stunts they do require them to all be working together. When asked about what a typical training regime for them was all about one cheerleader said, “We basically start off by running on the field. Coach tells us to run many laps, and then we start stretching. From then we either stunt or we go over like basic routines,” said Chelsea Cortez, SAS Senior. They work hard and deserve our support. Keep at it Cheer, and good luck at the competition in February. Does winning the lottery actually make one happy? Try to imagine winning a multi-million lottery at this very instant. How would you feel? If you’re anything like the general population, you’d feel ecstatic. Just imagine what one could do with that type of money! There’s just one problem, would you still feel this way in a couple of months? Chances are that you probably wouldn’t. In a study, researchers studied a group of 22 lucky lottery winners and a control group of normal individuals who lived life in a relatively conventional manner. Surprisingly the lottery winners levels of increased happiness were not that different compared to the control group. In fact, some had reported that they were more unhappy then than before the big win. Other researchers like the one In 1978 by a trio of researchers at Northwestern University and the University of Massachusetts concluded that emotional well being (the frequency and intensity one feels emotions) did not correlate with wealth or status to a certain point. This is, in theory, corresponds with a thing called hedonic adaptation, or as it is more commonly known as the hedonic treadmill. By definition, it is “the observed tendency of humans to quickly return to a relatively stable level of happiness despite major positive or negative events or life changes.” In short, it is the human ability to adapt emotionally to any situation. For example say I offered you delicious food, the idea of that food would excite you, but you wouldn’t stay that excited for long. After perhaps taking the first bite, your happiness level would theoretically revert back to the way it was before I had even propositioned food to you. So while in a sense the hedonic treadmill limits our enjoyments of good things, it also helps us recover from the suffering of disheartening events. Nevertheless, it is also crucial to note that this is not the only thing that could make winning the lottery less enjoyable. Factors like not being able to wisely spend the millions of dollars, or even splurging all of it at once can make us unhappy. That is not to say that money makes us sad or even that winning the lottery is a bad thing but that if one wins a multi-million lottery to be cautious and not immediately assume all problems have poofed into thin air. Subway: Buy a sub and a 30 ounce drink and you get a sub for free. Quiznos: Buy an 8-inch Classic Italian sandwich for $5 and get a free 4-inch sub using their app. Arby’s: Get a free roast beef sandwich with the purchase of a drink when you sign up for their newsletter. Baskin Robbins: Get a single-scoop warm cookie sandwich for $1.99 using their app. Jersey Mike’s: Get $2 off of any sub with their coupon from their app or social media. Unfortunately, animal extinction has come to be something of ordinarity. We don’t exactly know how many animals go extinct every year but it could be around 100,00. To put that into perspective that is about 1 every 5 minutes. Animals ranging from the polar bear to chimpanzees to the adorable giant panda is expected to go extinct within the next 15 – 40 years. This is very heartbreaking seeing as how these animals, in particular, are ones we grew up within the zoo and on the pages of our coloring books. What is it like to look upon the last of something? It’s mind-boggling to think that an animal as magnificent as the northern white rhinos could ever be in danger of becoming fictional, a thing of the past. You are seeing this unfold. Sudan is a captive Northern white Rhinoceros who lives at the Ol Pejeta Conservancy in Laikipia, Kenya. If he is not able to successfully mate soon with one of the last two female white rhinos at the conservancy then there will be no more of their kind, regardless of gender anywhere on earth. To further the problem it doesn’t seem like Sudan has a good chance at reproduction. He is getting old currently at 44 years of age and all of his previous breeding efforts have failed. Apart from these three animals at the Ol Pejeta Conservancy, only two other northern white rhinos exist, unfortunately, both females and in zoos. Sudan is a precious thing, the last male of his kind. His horn was cut off to deter poachers who kill rhinos and sell their horns. It’s sad to think that a beast as magnificent as him, has been dragged through the dirt and now carries a sad exterior about him. In all of his pictures, he carries his head down with age, small black eyes downcasted. If you want to help visit the link below and help make a rhino!